If you are dieting. you want to lose fat and as little lean body mass as possible and the macro-nutrient protein is the key player to help us do just that. Yet, if we take a look at the macro-nutrient composition of the average diet it consists of 50% carbohydrates, 34% fat and just 16% protein. This means that people are only receiving about 16% of their daily energy requirements from protein when protein provides so many bonus benefits. Keeps you feeling full: Sometimes when we are dieting, our caloric intake can sometimes leave us feeling unsatisfied or even hungry. Studies prove that a higher ratio of protein in your diet is beneficial for many reasons including keeping you feeling full for longer stretches of time…a true dieter’s helper. Protein slows down digestion and helps to keep you from going back for seconds. Bottom line is protein not only satisfies but it saves calories. Protein for lean body mass: In order to lose body fat, it is vital that you create a caloric deficit…meaning you are burning more calories that you consume. Unfortunately most people do not just lose weight when dieting but they also lose precious muscle (especially if they are dieting but not performing any muscle building or maintaining exercises). The result that most people experience when on a high caloric deficit is that they lose muscle along with fat. Protein preserves lean body mass…protein is not the macro-nutrient you want to be cutting. What you need to be cutting down on if you wish to lose fat and not muscle is nutrient-poor foods that are nothing but empty refined carbohydrates and unhealthy fats…filling you up with useless calories. Give yourself a metabolism boost with a healthy portion of protein. It’s an easy way to eat a healthy balanced diet so that you can achieve your health and fitness goals. Pairing protein with Carbs: You can actually slow down the absorption of sugar from your stomach to your bloodstream by pairing protein with carbohydrate rich foods. This in turn help keep your blood sugar from skyrocketing and keeps those incessant cravings at bay. Rebuilds and Repairs: Protein is what you need…especially after you’ve just worked out intensely. However, protein cannot do the job alone so pair it up with its macro-nutrient cousins, healthy carbs and healthy fats. With all this talk about needing protein how does that translate into Veggie Desserts? There are many plant based protein vegetables that offer a good amount of protein and are perfect for Veggie Desserts of all kinds. Spinach offers 3 grams of protein per ½ cup and can be used in desserts, smoothies and Smoothie Bowls. Broccoli is another veggies that offers protein…approximately 2 grams per serving…and don’t forget the fiber it also offers. 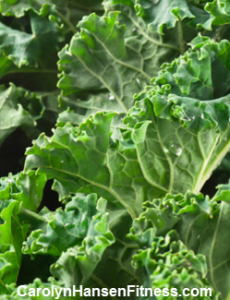 Kale is another great choice to use in your veggie desserts and smoothies…it offers about .7 grams of protein per cup. There are other veggie choices that offer a hefty amount of protein such as Swiss chard so don’t limit yourself to this short list. In order to reach your daily recommended requirement for protein you need to eat an assortment of veggies and there is no better way to do that than to enjoy then in a dessert, smoothie or Smoothie Bowl along with your traditional meals. Truth is, most veggies can be used with great success in desserts and treats and can be key to getting the required daily requirements.